I need to sell my car and I am looking to get a fair price for it. I need to sell it soon. Send any serious offers to me and I'll get back as soon as possible. Included one photo and a link to view all photos. 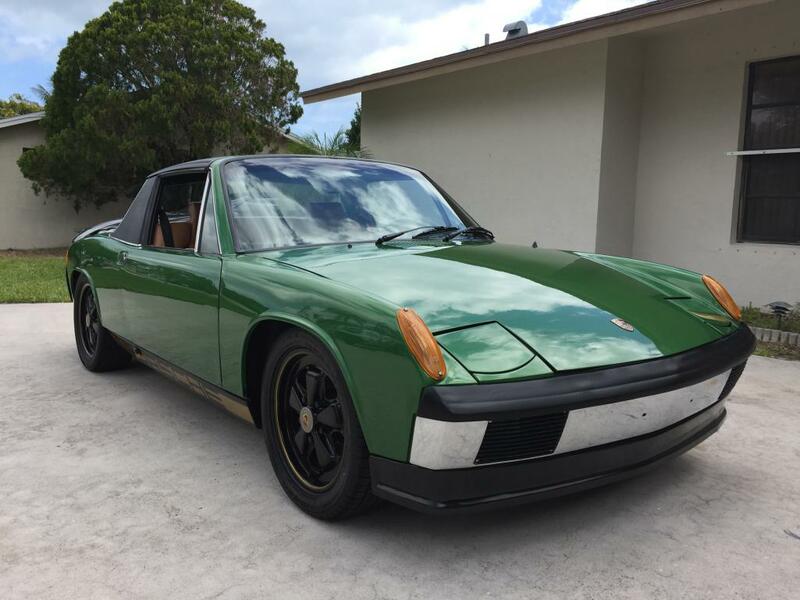 I purchased this car 5 years ago from another 914 World member. 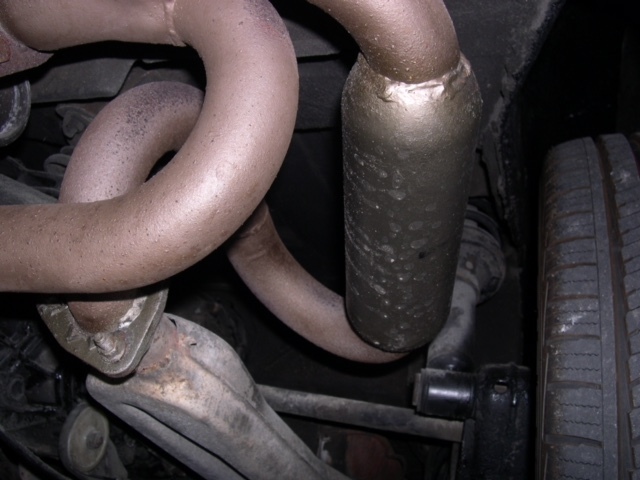 It spent most of its life in the mid-west and south United States so it shows no signs of any rust. 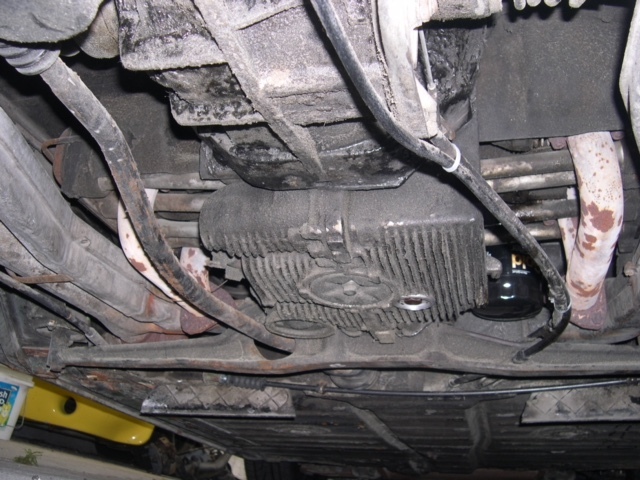 The car has undergone a complete mechanical and cosmetic restoration in the past 6 months. 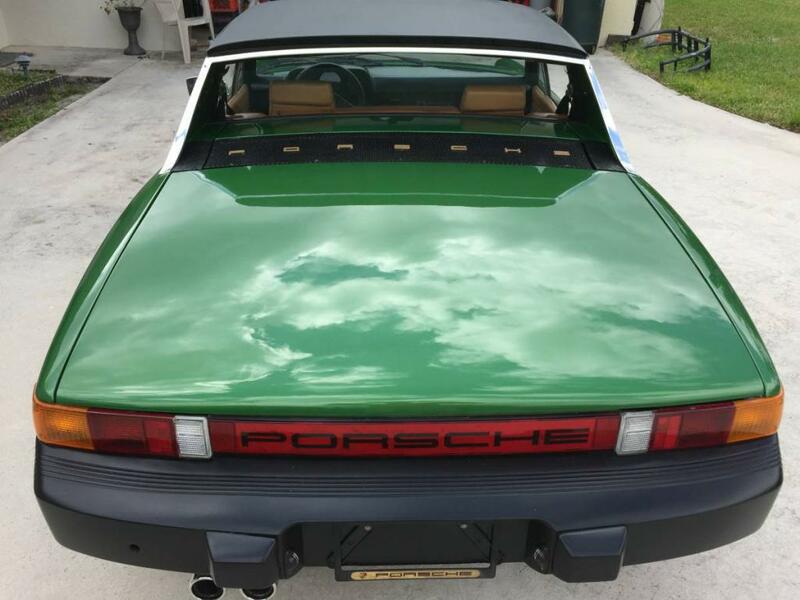 Car was mechanically stripped to bare metal, etch primed, epoxy primed, any dents repaired, and painted original color (paint code L 95K) with 7 coats of PPG Palma Green metallic, followed by 3 coats of clear, then sanded and buffed to a perfect shine. Paint looks amazing. 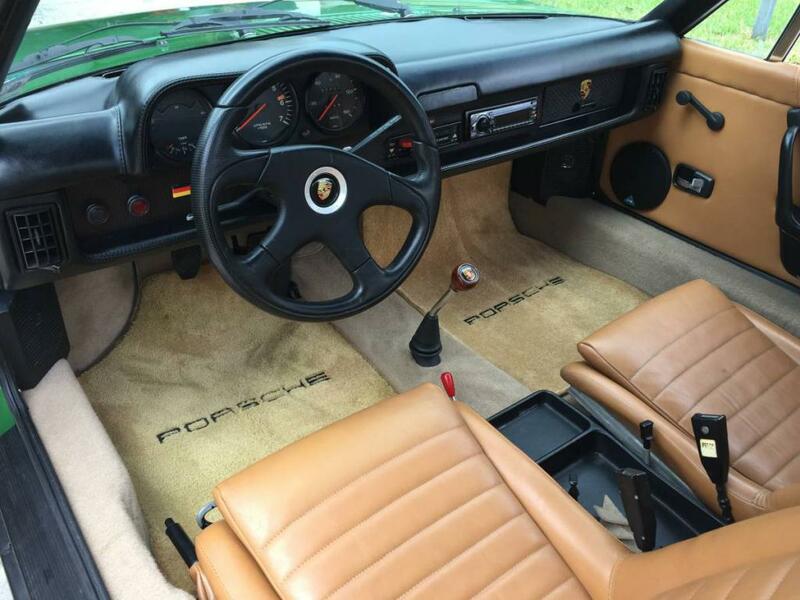 Minor cosmetic changes have been made to this very original car that suited my taste and I believe most Porsche enthusiast would not object to. 1. 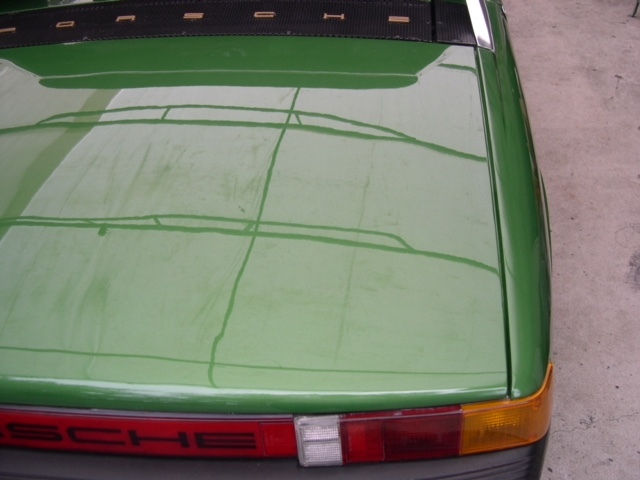 Front bumper has been replaced with an early chrome 914-6 style bumper with matching front valance. 2. Front side markers removed and filled solid. 3. 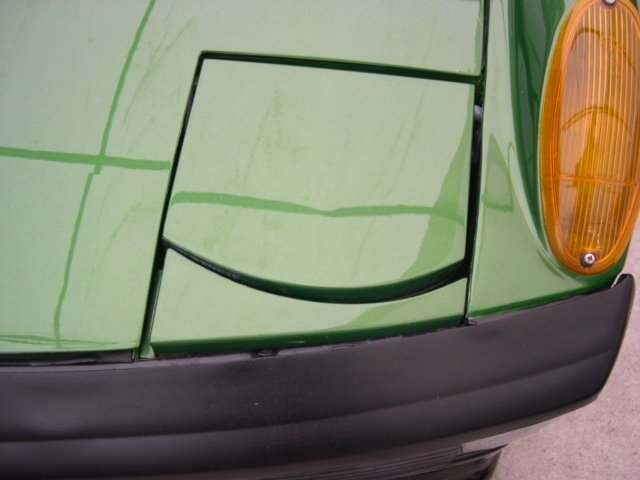 A 911S rear reflector was incorporated in the rear between the tail light and a remote deck release also installed. 4. The original 4 lug wheels have been replaced with real Fuchs 5 lug wheels that have been powder coated satin black. 5. Installed Porsche graphics in gold to lower side valances. 6. 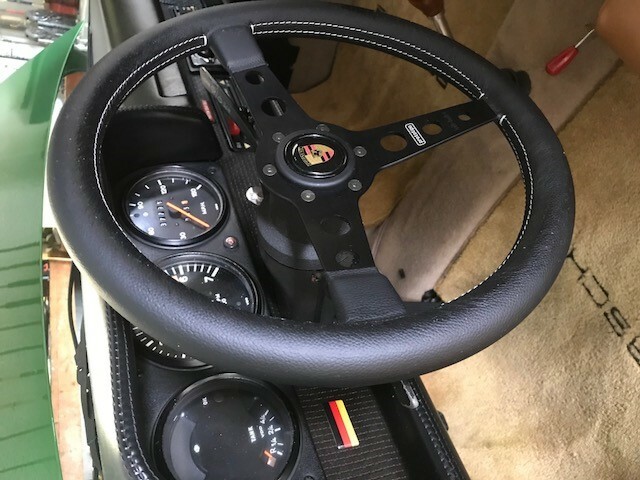 Replaced original steering wheel with Momo with Porsche center cap along with a Sony stereo. 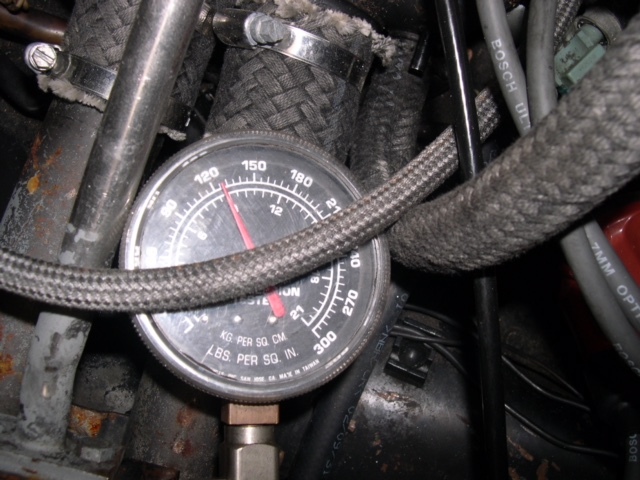 Mechanically the car has all the brakes system parts replaced including rebuilt PMB calipers, pads, and hoses. 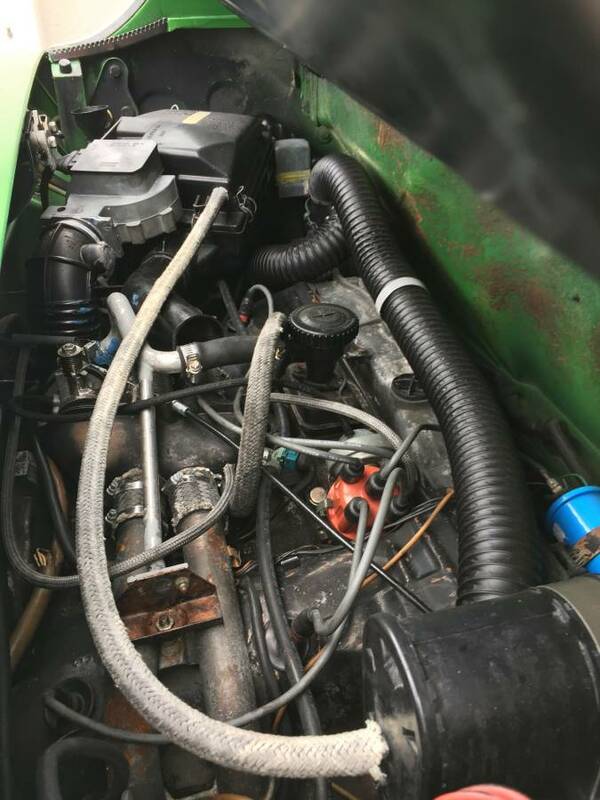 Engine runs fine and has had a recent tune up. Starts and idles as it should and runs out well in all gears. 1. 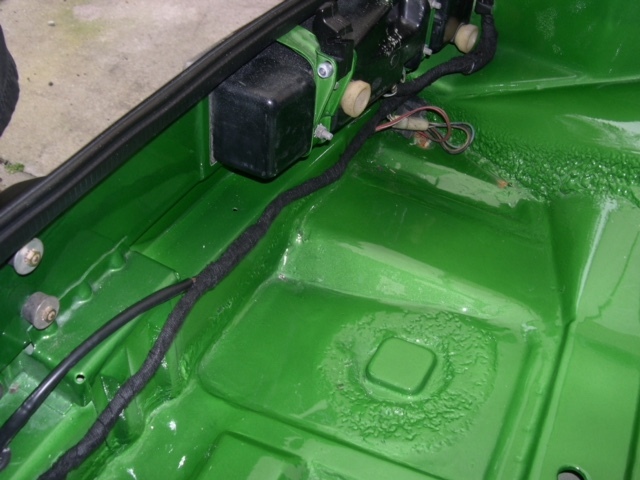 Body – Solid, no rust that has been mechanically stripped to bare metal and etch primed, epoxy primed, and painted correct factory color Palma Green (paint code L 95 K). Sanded and polished. 2. 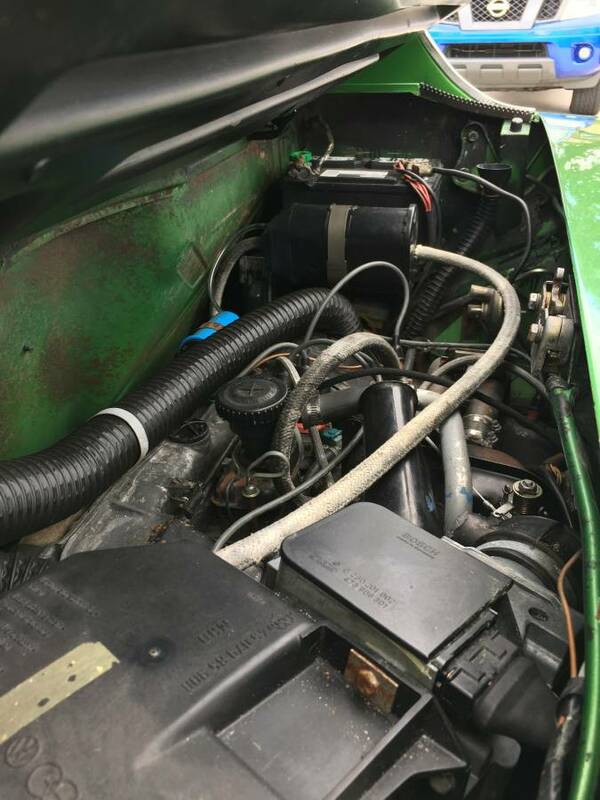 Engine – Original 1.8 liter fuel injected engine. L-jet fuel injection. Runs perfectly, recent tune up. 3. 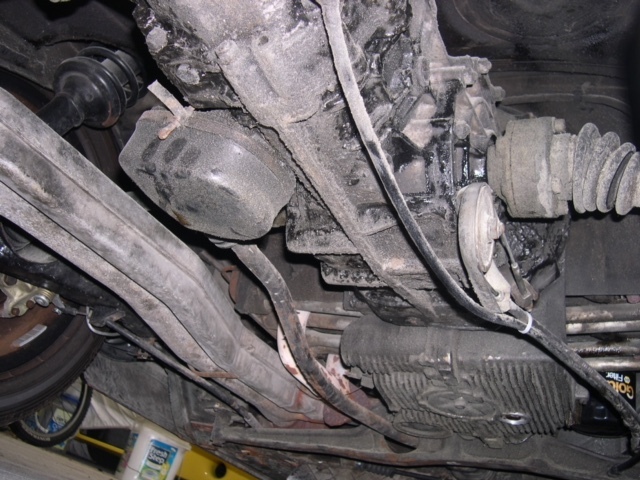 Transmission – Original 5 speed manual transmission. 5. 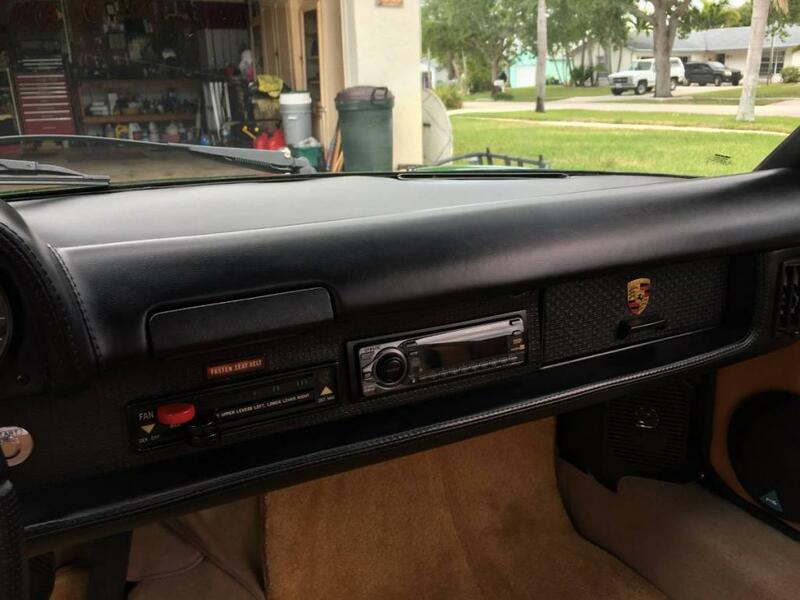 Interior – Stock interior in great condition. New light weight carpet set installed. Momo steering wheel and Sony stereo. Not a bad looking car, though the early chrome front and late rear bumper is an odd combo. 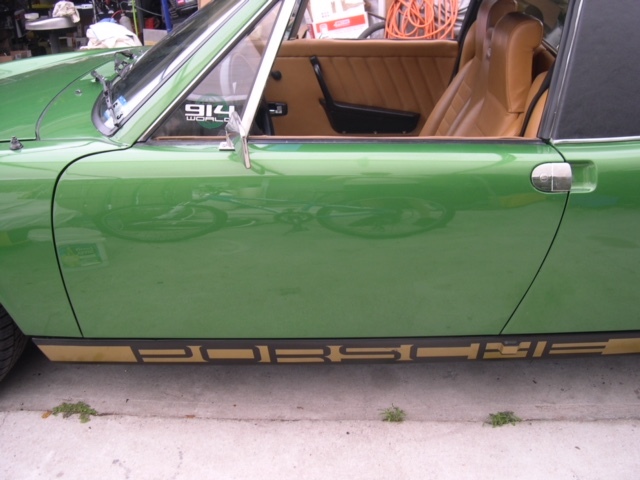 Do you know who the previous owner/ 914world member was so a little more of the history can be found? Looks like it was owned by SCV. Didn't take much searching since the VIN number was registered. Yes SCV was the member I purchased this car from 5 years ago. 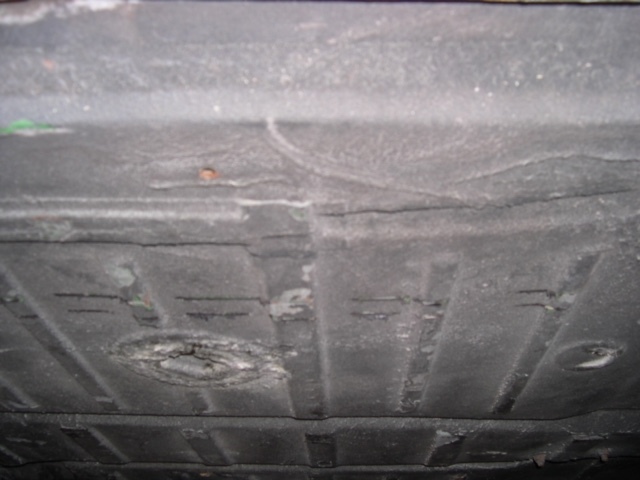 It was in excellent condition at the time as it had only minor rust spots as the original ad stated. 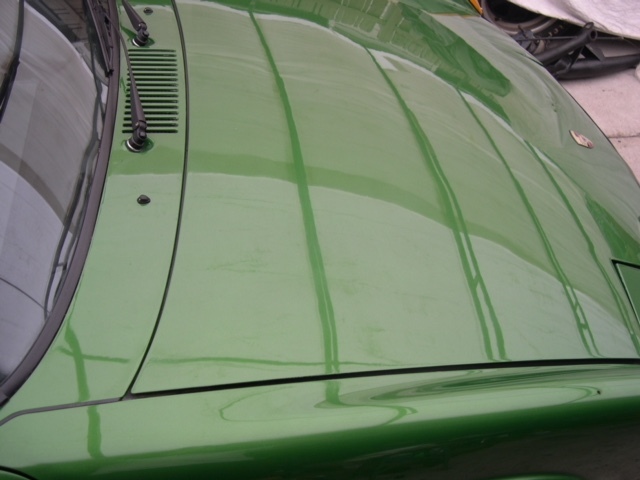 Since that time, I mechanically stripped the car to bare metal and returned it to its proper Palma Green metallic color. I have detailed other subtle changes made to it in my original post. I am looking to get what I feel would be a fair price as the car now sits. Something at or above $16500. I have over $9000 in receipts for the restoration done in the last 6 months. Please feel free to call me anytime if you have any questions. 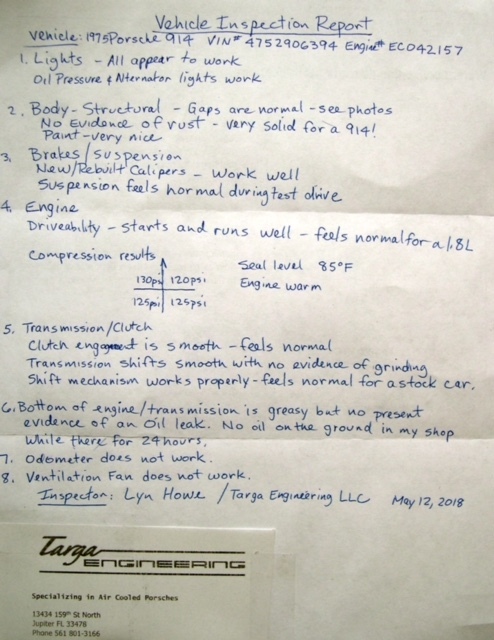 I have dealt with Brad at 914LTD for al,ost all of my parts related issues. 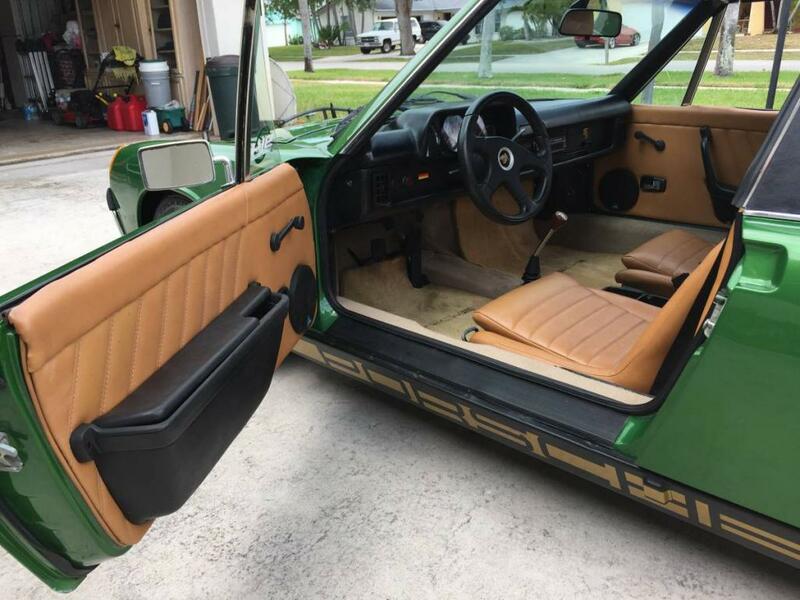 The link that was on the last post from Iwanna914-6 is the link to when I purchased the car orginally.. I have gotten some good feedback and some not so good feedback on my car. The not so good is only that the purist does not like the fact that I changed out the front bumper to the early style and that I had the Fuchs wheels powder coated to match the paint scheme I chose to go with. That being said, those are things that can be changed at a relatively low cost to the new owner. This is an extremely nice car that has not been mistreated and had very little rust to start with. I have photos of the car in bare metal so there are no surprises to be had. I also went with quality parts like PMB brakes and such during the rebuild. The good news is that the car is straight and solid and has a great paint job done to it in the correct factory color. 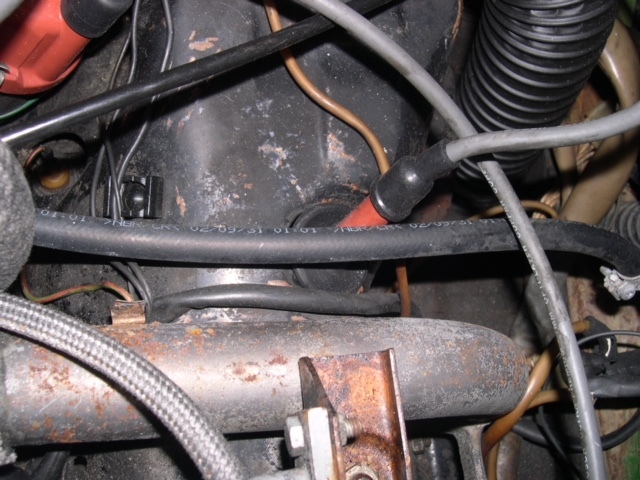 It retains the original fuel injection system and runs excellent. It has brand new Falken tires on it mounted to real 5 lug Fuchs wheels. 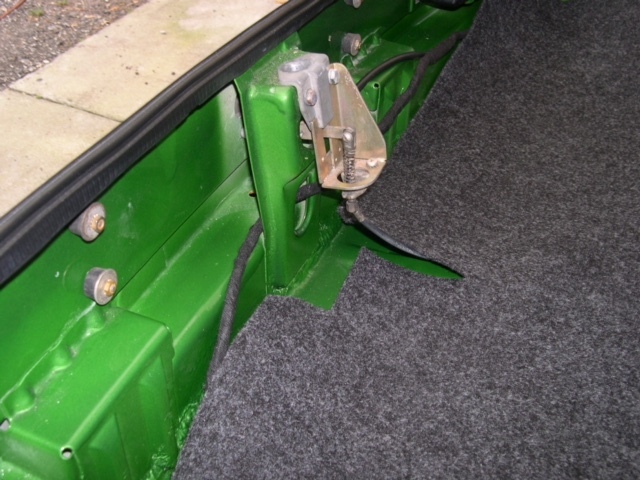 The interior is in excellent condition and has new carpeting as well. I myself did not enjoy the look of the original front bumper. I feel the early style is much more appealing on the nose. 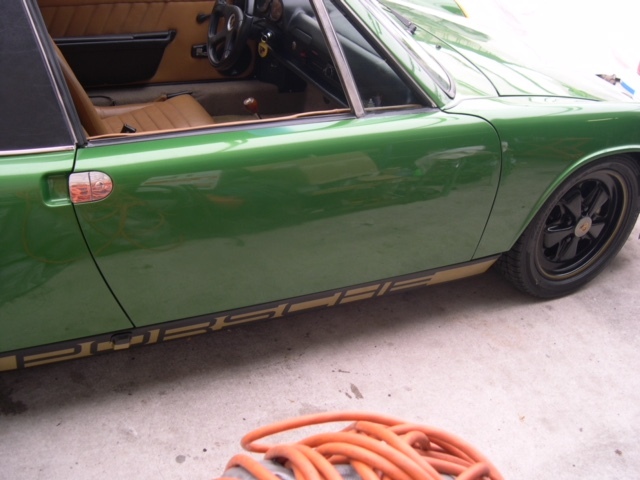 Someone had plated the original Fuchs prior to me buying it and it was a poor plating job that had to be stripped. Small defects in thee wheels meant it was not possible to replate them. That's why I decided to go with powder coating as the best surface finish on them. It looks great, don't let the purists get you down. I think the odd thing is that you changed the front bumper but not the rear. Regardless, I don't think any of that should hurt the value. Yeah, I wish my car was that nice! Exactly, its odd, but I prefer the early bumper style and I think the only flak you can get is that you didnt complete, and that can be left for the next owner. Im still exploring my options. 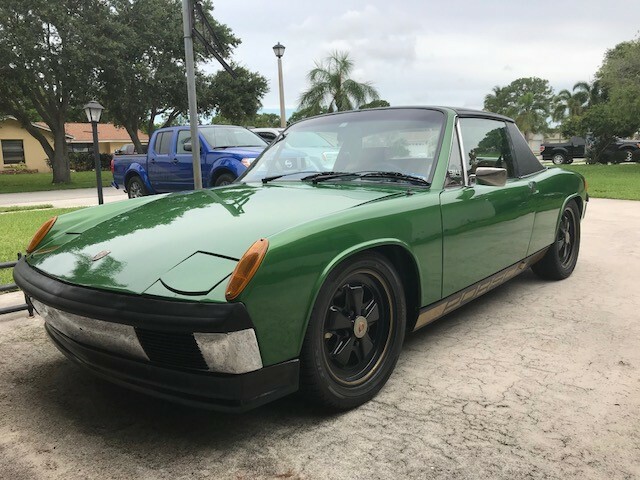 I love my Datsun Roadster but my heart is yearning for a 914. 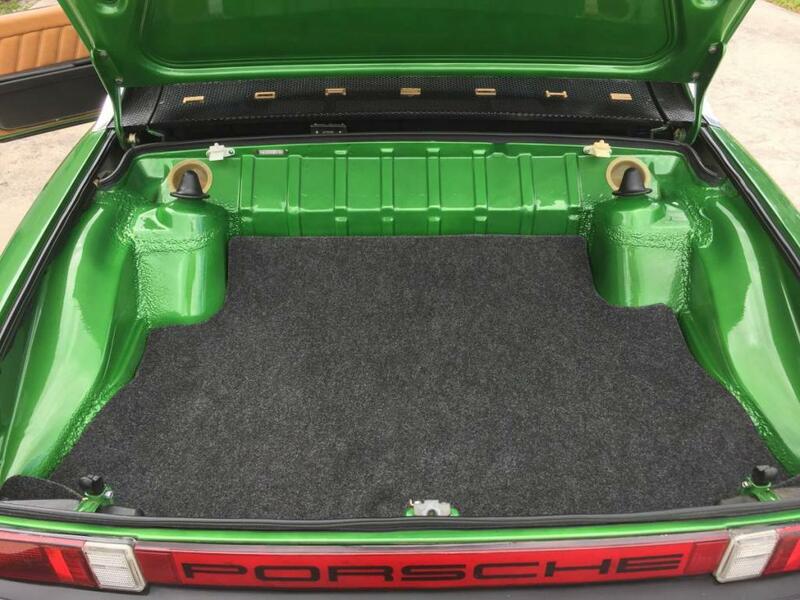 I hope its not a case of the grass is greener, but I certainly think I would prefer a targa to a full open top... We'll see what happens. 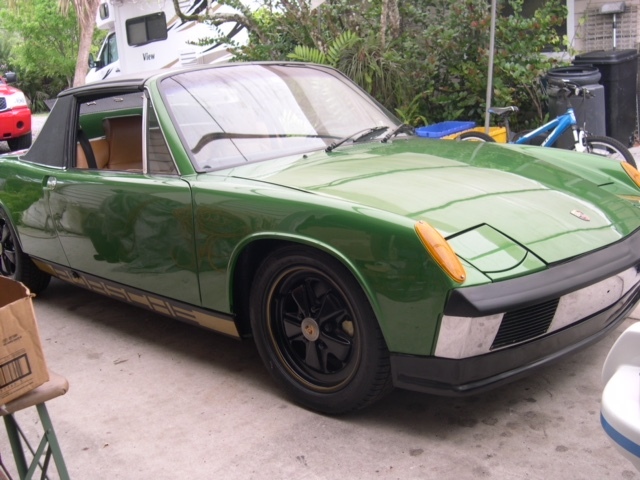 I have a feeler out for my car and if I can get the money I want it will be strong money for a good 914, like yours. 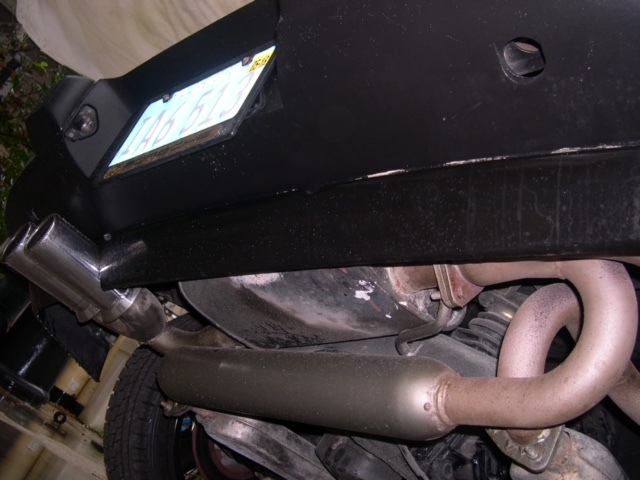 The rear bumper is even easier to backdate than the front. It would take the next person an hour or two to make the change and rear bumpers are MUCH easier to find than fronts. Great looking car. GLWTS! If someone doesn't like the black Fuchs, just sell them and buy different ones. There's always a market for Fuchs. Or keep them for a spare set. I like the blacked out look. The rear conversion was done with drilled stock hubs, and I'm not sure about the front. The Fuchs are aftermarket, and the chrome is flaking in a few places. It would be relatively easy to polish them. 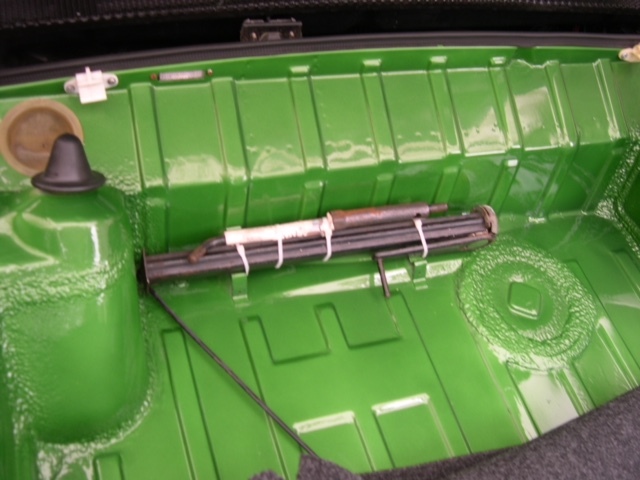 The trunk release is cable operated, and there is no key hole of which I am aware. Any idea how the front was done? Could it be factory 911 stuff? Good looking car, the people making the complaints have 0 intention to purchase and are too broke to "fix" the little issues they don't like about the car. Buy it and bring it to SoCal...this car doesn't seem to need much. I'm in 90621 and 92592 if you need help. The Fuchs on the car now are real. I have photos of back showing the fox designation. The front hubs are 911 style utilizing the stock PMB 914 calipers. 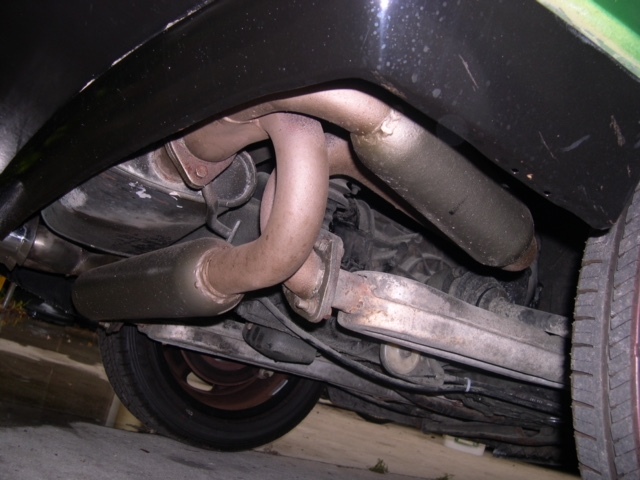 The rear were done before I bought the car. Have had no issues. 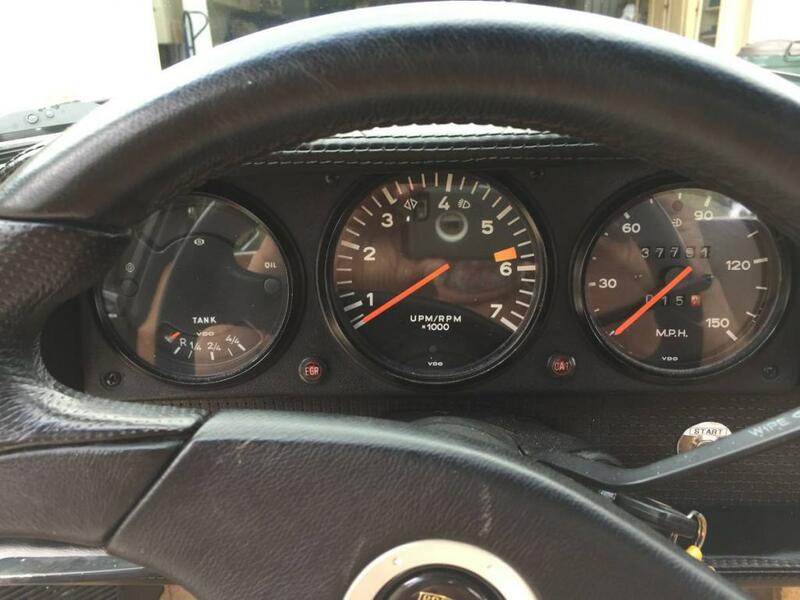 Yes Simon (2man), it’s time to buy your 914. 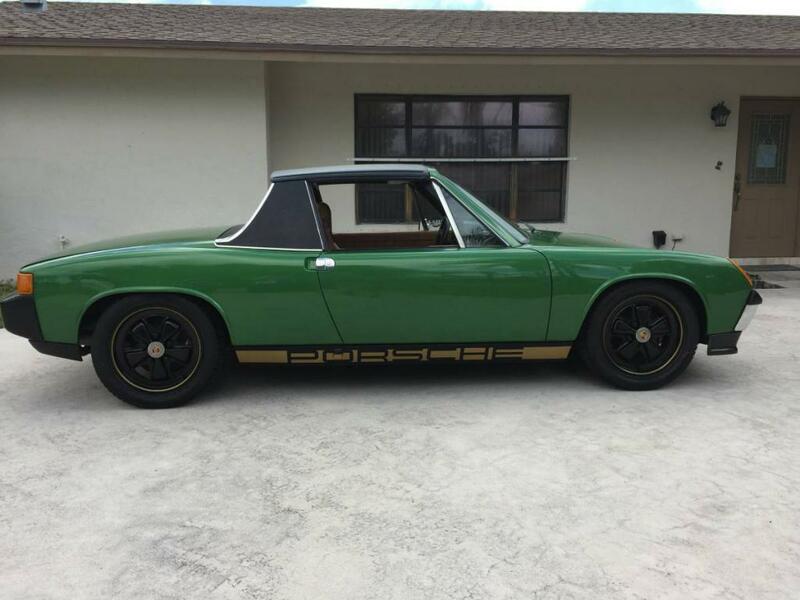 This is a nice/beautiful 914! Hi, I own the car currently. I got some interesting history on the car from the second owner in the last day or so. It seems this this car was originally purchased by his brother from Circle Porsche in Long Beach, CA by his brother Thad Bosley in 1975. Thad Bosley is a former MLB star that played for the California Angels. He purchased the car right after signing his rookie contract with the Angels. He went on to have a long major league career with multiple major league teams. He was a celebrated out fielder for the Angels and after doing some research on him, it appears that he had a lifetime batting average over .300! That's awfully rare to be able to say that. Thad has a bio listed at www.ThadBosley.com if you are interested in learning more about him. Thad is alive and doing well in California I am happy to say. Well, his brother bought the car from him in 1976 and owned the car for about 32 years till about 1998 or so when I believe 914world member SCV purchased it. Don told me that he was the one that had the car repainted in Sun Flower yellow and performed many of the mechanical/cosmetic modes to suit his taste. 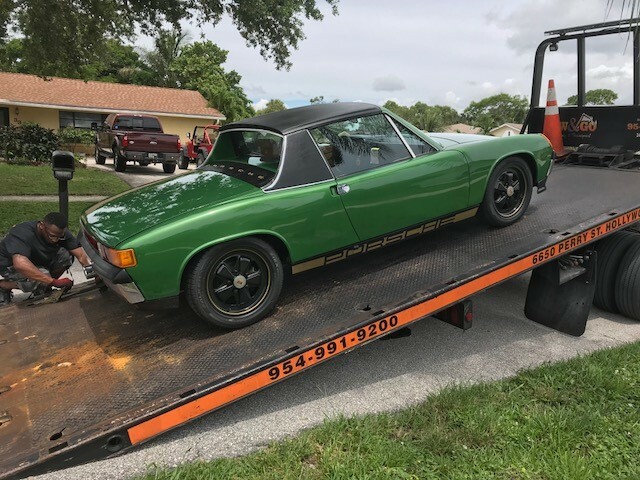 I thinks it a really cool back story behind this car and have hopes that Don will possibly buy it back to complete its full circle life from Circle Porsche. 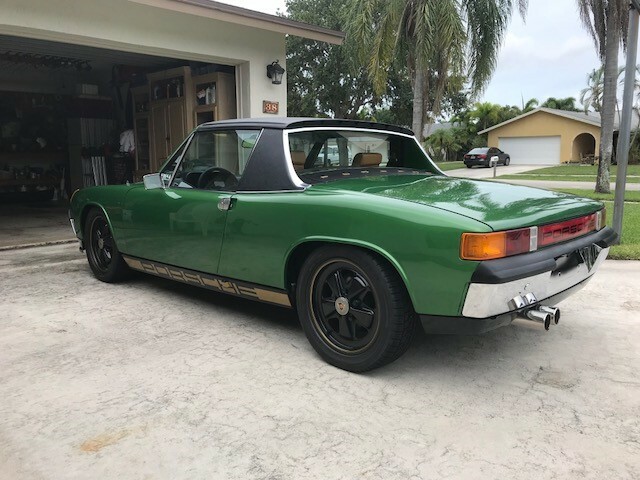 Anyway, I do have to sell it and hopefully if Don does not purchase it, a fellow 914world member will. (IMG:style_emoticons/default/agree.gif) Exactly what I was thinking when I first read the ad. GLWS I like it. Russ, I assume you did, but let me ask. Did you fix the rust issues? And does it still have the tan interior it had when you purchased the car? Your car looks pretty nice and would probably present well. Pictures sell cars. If you don't know how, please get some help. It really does go a long way. Thanks for the input. I have more photos if you click on my website link but maybe I should really start a new link with the photos and history I detailed later in the posting right up front. 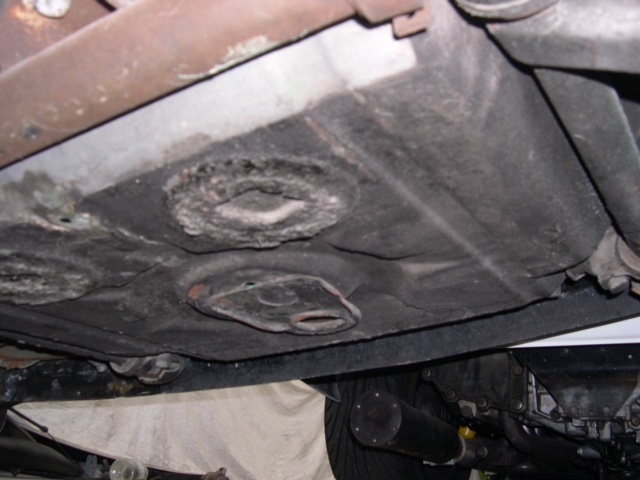 I just had a fellow perform a PPI inspection on the car to help sell it as well. Can send it to anyone interested. 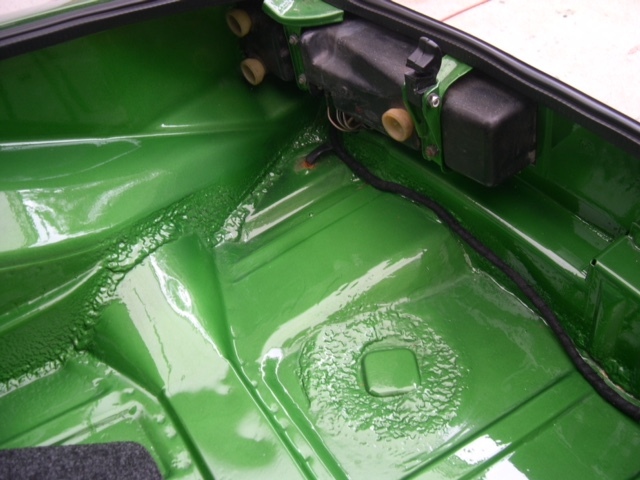 I inspected the 914, drove it a few miles and took a few photos. Overall it looks and runs well and is a lot of fun to drive. I could not get photos in the "Hell Hole" with the ECU in the way but was able to use a mirror and flashlight to view it. It looks original and generally solid. Just a little surface rust and I think one small area at the top corner that may have been perforated. About 1/4" x 1.5". 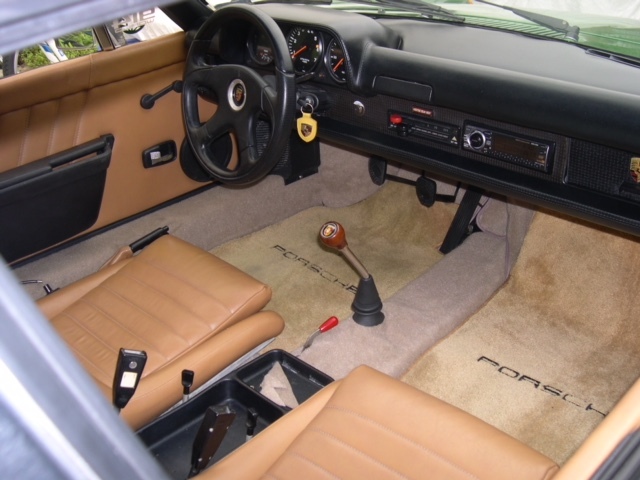 Much better than most 914's. 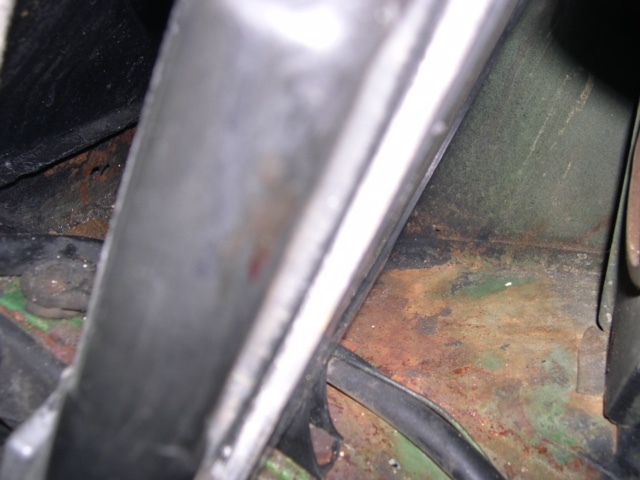 Didn't see any other rust or structural issues on the car. The inspection report is the last photo DSCN1708. I can help eith that. Later this evening. Check your first post in the thread. 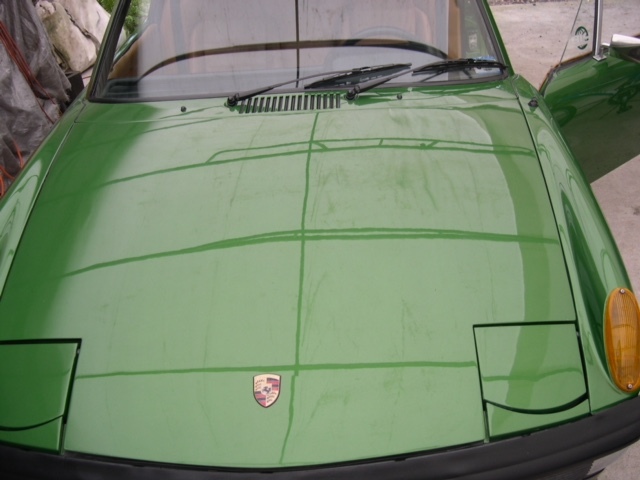 I have been screening this Forum for more than 2 years, nearly daily, trying to find a suitable 914 to export to Norway. Anyway, I just had to do something and I contacted Russ regarding his car. It has been a pleasure to deal with him and he has been very helpful in any aspect. As some of the members comments was, I decided to do some little modifications before shipment.